Sad music is hard. Scratch that--good sad music is hard. A quality soul-scorcher gives legitimacy to your emotions but also remembers to acknowledge that they're as temporary as the weather; like the seasons go, your spring will come. It sits with you in your valley but throws you down the rope to climb out. Sad music is not as easy as it looks: it takes equal parts musical prowess and personal maturity. And yet you listen to something like The Other Side, the very first full-length from indie-rock band Caterpillars, and you'd think these guys have been at it their entire lives. Opener "Winter Haiku" and follow-up "Rebirth" make for a compelling one-two punch. The former fades into reedy bits of acoustic guitar and spoken vocals so scratchy they almost sound like tapes from an age long gone, before Christopher Robinson's vocals come in. They're a good anchor for the entire band, capable of delivering both delicate breezes and rain-soaked gusts with impassioned sincerity. Just when the song's FM radio fixtures have you fooled into dozing off, "Rebirth" kicks in with urgent drum beats and intricate back-and-forth between the guitars, while Robinson turns up the intensity of his winded voice, only letting up to deliver biting asides in the verses. The band lets us wallow on its lap before kicking our asses from this end of the field to that: autumn is football season, after all, and with a delightful subversion of expectations, Caterpillars scores quite the touchdown. Like its title suggests, The Other Side will take you to another dimension. This is a world where the haunting chords of a piano reverberate for just a fraction of a second longer than usual; where synths hang in the air like the distant whinny of horses; and where the moment you let down your guard, the guitars charge into the fray and lick your bones clean. 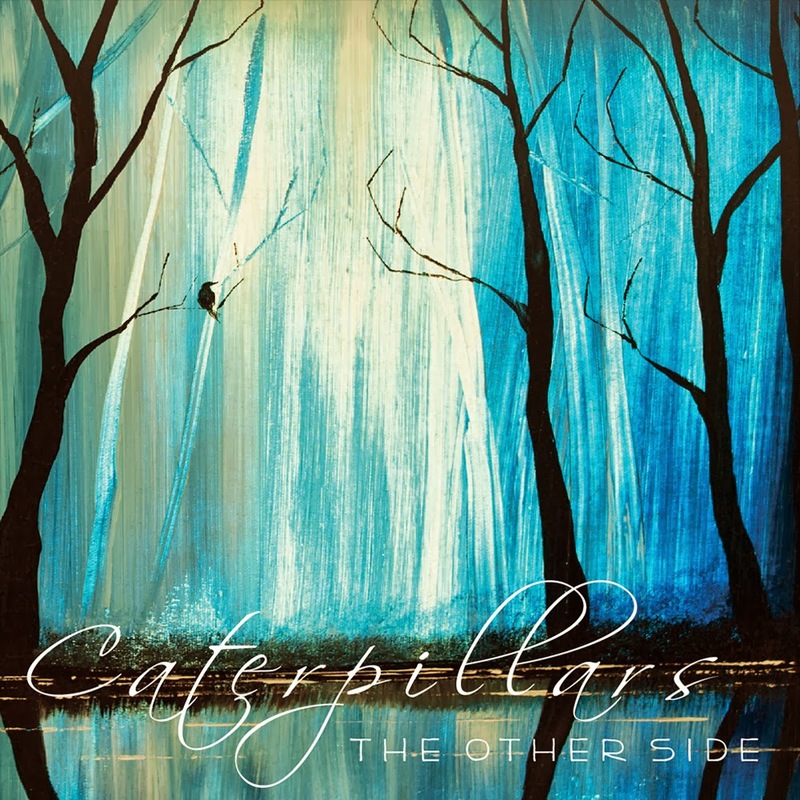 Caterpillars is bent on shaking you up, and despite its typical rock band setup, the band's atmospheric songwriting (draping elements over one another while leaving generous room for the instruments to play) and equally solid production make The Other Side quite an immersive listen. By about midway through the album, though, it's clear the focus on atmosphere is both a boon and a burden. On one hand, it makes for a remarkably cohesive experience, honing in on Caterpillar's greatest strengths: the strong melodies, the balance of intensity and detail, and the refreshing way newer influences like spacey synths and more modern production touches are woven into a more tried-and-true rock mold. On the other hand, it's so solid as a self-contained artifact that it's a little hard to see where the band goes from here. For the first six tracks, the band rarely wanders too far from the basic formula set up in "Rebirth," and eventually the languid pacing catches up to the music. As a result, parts of The Other Side sound like a lullaby: a gritty, impeccably polished lullaby, but a lullaby nonetheless. Thankfully, the band switches things up enough in the album's more varied back half to inspire hope. "Repair and Retreat" tones down the busier instrumentals and works with a more sparse arrangement, and Robinson and the band's vocals thrive in a more open environment, slowing down enough to display a bit more warmth. "Light In This Room (Not The One)" almost sounds like a lost M83 demo in its opening, and though the buzzy synths in the intro quickly make way for the expected blend of guitar and drums, the rhythms still keep things energetic--they're suitably upbeat in the verses and powerful in the chorus, pounding Robinson's heartache into the listener's head. The title track shimmers with sunlight, finally providing that all-important turning point every great album needs. It's not that the band's adding new elements to its repertoire; it's just rearranging the pieces and seeing how many different ways they fit together. 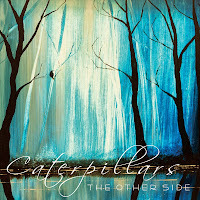 Every artist worth caring about has a point, and on The Other Side, Caterpillars' is about flipping angst on its head. It's what we do every day, after all. Few of us can just quit our jobs or drop out of school or throw down the things we carry with us every day, and the best we can hope for is a change in perspective. Does that sound bleak to you? Try listening to it first.